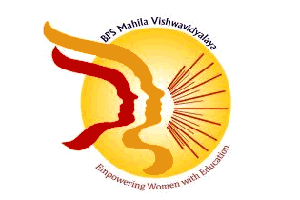 BPSMV Jobs Recruitment Notification 2019.Bhagat Phool Singh Mahila Vishwavidyalaya inviting applications for the positions of Clerk, Lab Attendant, Steno, Librarian, Finance officer, Engineer, Draftsman, Divisional Accountant, Junior Scale Stenographer, Driver, Hostel Attendant, Account Clerk, Technical Assistant, Superintendent, Section Officer, Technical Officer, Assistant Registrar, Computer Assistant, Library Attendant, Technical Assistant and Assistant.Interested and Eligible candidates can apply for the positions. Last Date for Submission of Application is on February 07th, 2019. Total number of vacancies is to filled in BPSMV is 105 posts. Department wise openings are given below. For Lab Attendant & Hostel Attendant posts contenders should have passed in 10 + 2 with science of 50% marks. Contenders must have passed in Master’s Degree/ Degree/B.sc./ MBA/CA/ME/M.Tech/ Diploma are eligible for remaining posts. Contenders who have minimum 18 years and maximum 50 years they can apply for the positions which is said in above. Selected contenders will earn monthly salary based on department wise which is shown in below. Contenders will be recruited through written exam and interview. Application process will be held on offline by BPSMV Recruitment 2019 Notification for the said posts in above from 15th January 2019 onwards and filled forms must sent it to the gicen address below. Last date apply is on 07th February 2019.
http://www.bpswomenuniversity.ac.in/ is the link to download, apply and submit the application form for contenders is directly. Bhagat Phool Singh Mahila Vishwavidyalaya Khanpur Kalan (Sonipat), Haryana – 131305.